Home > Al Harthy, Aston Martin Racing, Blancpain, Brundle, Dennis, Eastwood, kirchhofer, Martin, mcKay, Pro, R Motorsport, silver Cup, Silverstone, TF Sport, Thiim, Vantage GT3, Vaxivier > Room for improvement for the AMR runners in Blancpain? 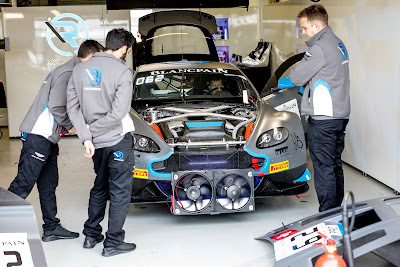 Room for improvement for the AMR runners in Blancpain? After all the incident and drama that was the opening round of the Blancpain GT Series Endurance Cup from Monza last month, the three Aston Martin Racing V12 Vantage GT3 runners will each be looking to improve upon their performance at this weekends second round from Silverstone. 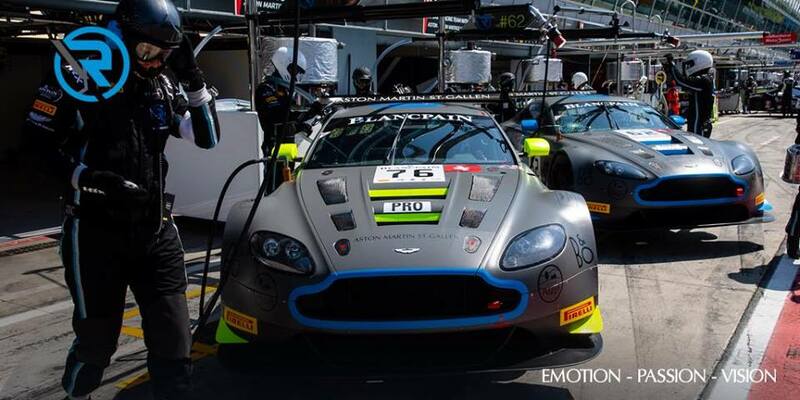 Monza resulted in two decent opening results for the #62 R-Motorsport car of Alex Brundle, Marvin Kirchhofer and Maxime Martin for finishing P9 overall in the Pro class and a class P5 for the #97 Oman Racing car of Ahmad Al Harthy, Charlie Eastwood and Euan McKay in their Silver Cup class. For the remaining #76 R-Motorsport car, Monza was an unfortunate DNF despite their early promising pace in the race. For many of the drivers, not just in the AMR cars, Silverstone will be the third weekend of a hectic schedule of works after the opening round of the WEC at Spa and then the ADAC Zurich N24 at the Nordschleife last weekend but with Le Mans looming, Silverstone will not allow time for any rest. 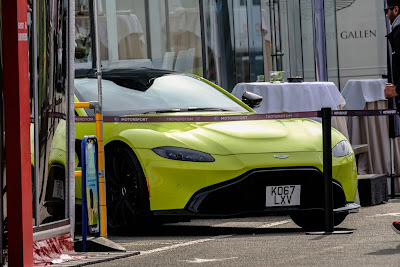 With 52 cars again entered into the race, even the apparent expanse of the Silverstone circuit will soon look busy with cars spread between the four classes around the 3.1mile track. 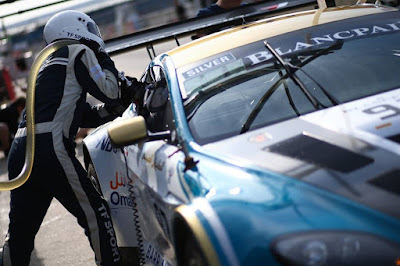 "We believe the Aston Martin will be strong at this circuit and all three drivers know the track well. We have some improvements to make over Monza both from the team and from the drivers, but I’m confident we’ll be in the hunt for podium positions.” said TF Sport team Principle Tom Ferrier. R-Motorpsort meanwhile will be buoyed by the momentum gained from a good finish at the N24 from both Nicki Thiim and Maxime Martin whilst Jake Dennis will be fired up after his recent Red Bull F1 test but again, everything will be done to just how the best performing cars at Monza have been adjusted (BoP) by the Series as clearly some had a greater performance threshold than others. Track action will begin tomorrow with Free Practice before the Pre Qualifying session in the Afternoon. Qualifying itself is on Sunday morning ahead of the three hour race itself that starts at 15:00hrs. it also appears that should you get down to the R-Motorosport suite in the paddock you will be able to feast your eyes upon a new Aston Martin Vantage! !